Zoe believes that technology can enhance every individual’s ability to teach and learn. Her entrepreneurial spirit has her naturally joining the dots on how tech can solve the education industries most incumbent problems and allow students to truly excel. 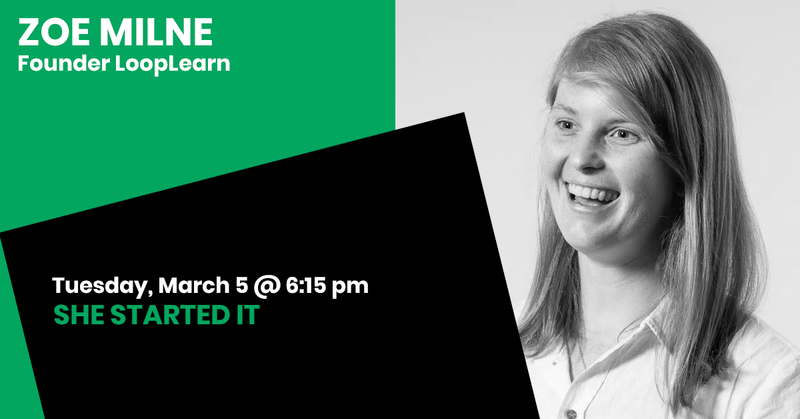 She is currently Co-Founder of LoopLearn, a company focused on using the latest advances in AI to help teachers support students. Zoe’s previous work in global education technology companies grew her skills in business strategy and execution, product management, people leadership, and international market development. As someone who loves to live life outside of her comfort zone, she relishes building a first mover EdTech company set to improve education delivery globally.